Meet two talented fishermen who are sponsored by B&W, and learn about the TV show that they cohost. If you dream about big fish, drool over pictures of monster bass, and have spent an inordinate amount of money on fishing lures and poles…then Sweetwater is the show for you. Here’s the scoop: in each 30-minute episode of Sweetwater, co-hosts Joey Nania and Miles “Sonar” Burghoff travel the U.S. and fish at various inland locations. They also share tips and product recommendations fit for novice anglers and fishing connoisseurs alike. Joey Nania is originally from Washington state, and began winning fishing competitions when he was only six years old. He is a four-time Bassmaster State Champion, winning his first state championship at the tender age of 13. 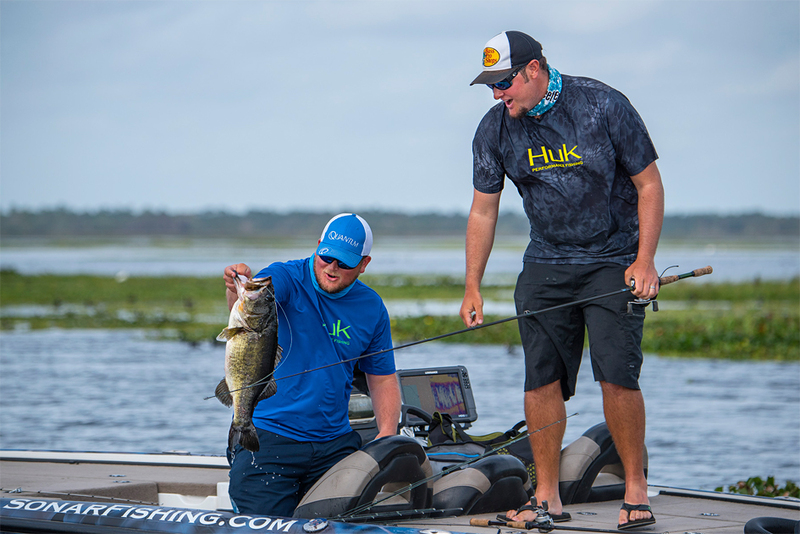 He is also a two time Junior Bassmaster World Champion, Washington State Federation Nation Champion, and he took fifth at the Bassmaster Opens Pro. When Joey is not fishing, you will likely find him spending time with his wife, Jessica, his two young sons, and his two dogs. He also enjoys playing Call of Duty Modern Warfare 2, cheering on the Green Bay Packers, and raising money for charity groups like the Wounded Warriors project. As if being a fishing champion and a TV host weren’t enough, Joey also works as a professional fishing guide on the Coosa River System in Alabama. If you’d like to learn more information about Joey and/or his guided fishing tours, visit his website at www.joeyfishing.com. Miles “Sonar” Burghoff also began fishing competitively at young age and entered his first bass tournament when he was twelve years old. Sonar competed in the college fishing circuits during his time at the University of Central Florida and won the Boat U.S. Collegiate Bass Championship in 2011. Some of Sonar’s other accomplishments include a third-place finish in The Bass Federation National Championship in 2012, two Bass Fishing League Super Tournament wins, and an eighth-place finish at the Fishing League Worldwide Tournament at Lake Okeechobee. When Sonar has spare time, he loves eating sushi, watching Star Wars, and listening to Pink Floyd. He is also very artistic, and fans can purchase pieces of his artwork at his site http://sonarfishing.com/. B&W is proud to sponsor Sweetwater and these two talented cohosts. Happy fishing, boys!